bearing for conveyor idler-Shandong Xinkaite bearing Co.,Ltd. bearing for conveyor idler the role is to support, that is, to explain the literal interpretation of the shaft, but this is only part of its role, to support its essence is to be able to bear the radial load. Can also be understood as it is used to fix the shaft. bearing for conveyor idler fast and easy to select the best automatic selection. Is the fixed axis that can only be achieved rotation, and control of its axial and radial movement. If the motor does not have bearings, then it will not work at all. Because the axis may move in any direction, while the motor is working, the shaft can only be rotated. Theoretically impossible to realize the transmission role. 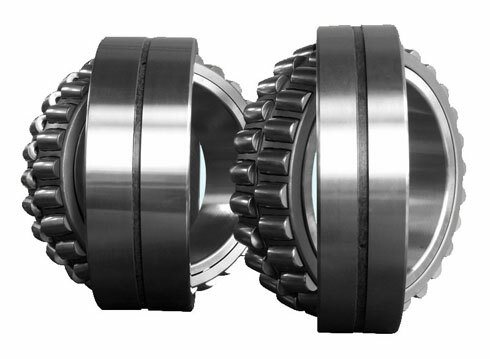 Not only that, bearing will affect the transmission, in order to reduce the influence in bearing for conveyor idler high-speed shaft must achieve good lubrication, some bearings have lubricant, called pre lubricated bearings, and bearing the majority must be lubricated with oil, responsible for the high-speed operation, due to the friction will increase energy consumption, more terrible is easily damaged bearing for conveyor idler. To change the sliding friction into rolling friction is one-sided, because there is a kind of thing called sliding bearing. bearing for conveyor idler of the lubrication method, divided into grease lubrication and oil lubrication. In order to make the bearing for conveyor idler function well, first of all, to select the suitable conditions of use, the use of the purpose of the lubrication method. If only consider lubrication, oil lubrication of the dominant. However, grease lubrication has the advantage of simplifying the structure around the bearing, and compares the advantages and disadvantages of grease lubrication and oil lubrication. Lubrication should pay special attention to the amount, whether it is oil lubrication or grease lubrication, too little lubrication does not affect the bearing life, too much will have a large amount of resistance, affecting speed.